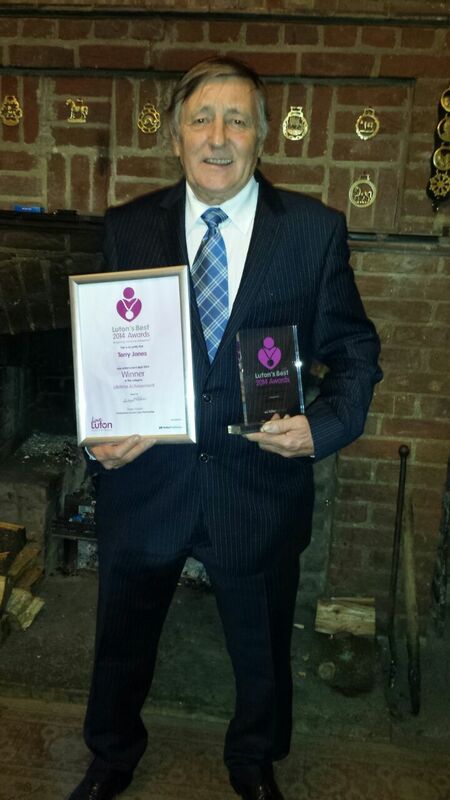 Congratulations to our own Terry Jones who has won the 2014 Luton Best Life Time Achievement award for his services to Scouting. Terry has over 50 years service as a Leader with the 1st Luton Sea Scouts and we are very glad to say he is still helping us and doing what he does best. Terry started with 1st Luton as a Scout and then Rover Scout. He then became the Scout Leader, a role he held for over 30 years. He then took on the role as Group Scout Leaders and is now a very active member of our Scout Active Support (SAS). Terry has seen the Group change and develop over the years and has seen thousands of children go through the group. He has always been there to teach them new skills, offer help, support and guidance. Over the years Terry has motivated and inspired may members. As usual Terry was very humble when receiving the award saying that his success was because he is part of a great team. He even commented that he would rather have been with the Scouts at Troop then receiving the award. We all know that this award is well deserved and we are proud and glad that he is still a huge part of our Group.